The Palatine Hill is one of the Seven Hills of Rome and it is the centerpiece hill which is one of the most ancient parts of the city. The name “Palatine” is derived from a Latin word “palus” which means marsh or swamp. 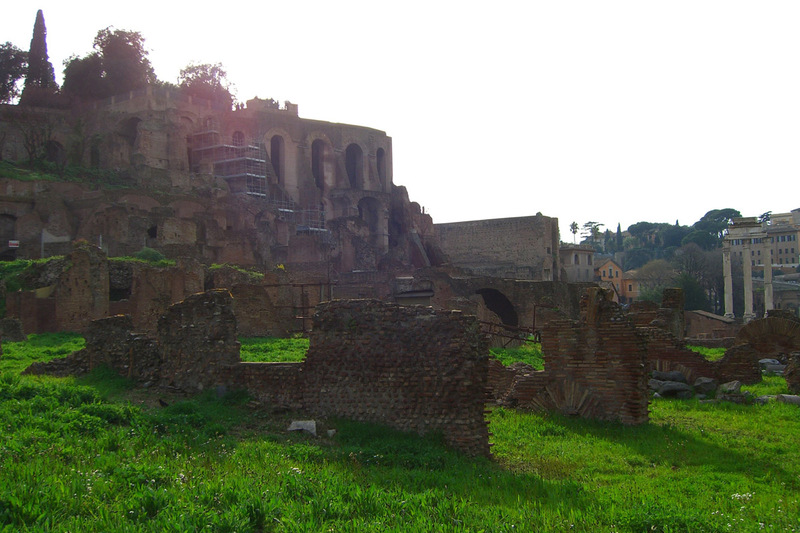 The Palatine Hill is the place where the rich and famous Romans used to live. It is about 70 meters of height if viewed from Roman Forum from one side and the Circus Maximus from the other side. The Hill is a large open air museum which is most visited by tourists during the day time and it is situated between The Velbrum, the Circus Maximus and the Roman forum. 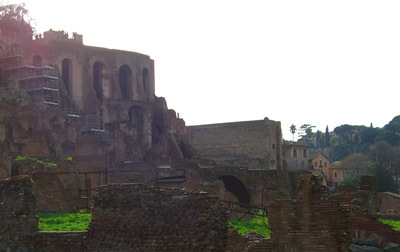 According to the mythology of Romans, the Palatine hill was the location of a cave called “Lupercal “where Remus and Romulus were brought in by a she-wolf which kept them alive. The legends state that Faustulus, who is a shepherd, found them as infants and his wife brought them up and raised them. So later when Romulus grew older, he decided to build a city on Palatine hill. The hill was also a site to celebrate “Festival of Lupercalia”. Romulus chose this hill as a ideal spot to build a new city. Therefore, it was on this Palatine Hill where the Roman era of empires started. All parts of the Palatine are not accessible to tourists, but the spots like Imperial Palaces, the Farnese Gardens and the House of Livia can be visited. The Palatine is open daily from morning 9:00 am to evening 7:00 pm with an admission fee of 9 Euros. The best way to reach Palatine Hill is to catch a metro to The Colosseum. The Roman Palatine Hill, which in existence may disappoint as the ruins are minimized due to age, but the view is fantastic to experience.